At this stage in your careers, I want to urge you to be exploring ideas, not critiquing them. I think our education system has got a lot to answer for in that it instills a kind of knee-jerk critique response to everything we read and hear. It’s like sometimes we want to make judgments even before we’ve experienced the things that the person is writing or talking about. So I do want to encourage you to be exploring the ideas of [the writers you read, or the practitioners you hear], looking for what will be useful to you, looking for what unsettles you, looking for what nudges at your assumptions or informs your evolving thinking, rather than standing back and critiquing it. 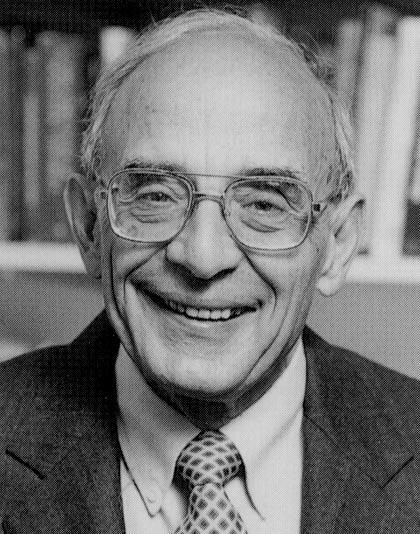 … part of determining what ideas might be useful to us is surely to see which ideas stand up to, not just our own experiences, but also the weight of evidence, scholarly analysis and examination of their own internal logic and consistency. 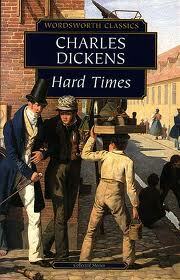 We have heard this cry before, from Gradgrind in Dickens’ Hard Times. It’s an attitude which has seeped out of the scientific laboratory (where it rightly belongs) and into places where it has no right to be (such as the English classroom, where students are now asked to use the text as evidence for their ability to locate the meaning, a most dreadful perversion of the function of the poem or novel). Don shows us how metaphors tacitly invade our thinking to name and frame understandings. The heart of reflective inquiry, then, is to identify and criticize the mechanisms of metaphor that lead to understandings; in doing so, we manage to facilitate a process of ‘frame restructuring’ in which we come to new understandings. What metaphor has tacitly invaded teacher education? This morning one of our most thoughtful, widely read and engaged students posted a concern he had about a recent assignment. I’ve just been thinking [whether] reading other student blogs for ideas, although it’s not the strongest form of academic evidence, could possibly count towards “relevant research” [for my assignment]? There’s a metaphor lurking in the background here, an oppressive one that makes this student uneasy. It’s an epistemological metaphor, telling this student that learning to teach (or, at the very least, learning to do well in teacher education courses!) is to be able to distinguish between valid knowledge (rigorous, logical, evidence-based) on the one hand, and reflection, anecdote, and speculation on the other. One can sense the tension in the way he frames the thought: it’s like he’s saying I get so much out of reading my fellow students’ blogs, seeing what they’re making of things, learning from their responses to our readings or the lectures, or their experience in prac classrooms. But does this count? Is it valid ‘research’? Is this ‘the strongest form of academic evidence? Can I use it in my assignments? Yoram Harpaz (and many others) remind us that we make sense of the world through our engagement in communities of thinkers, people working together in engaged and deep ways trying to make sense of ‘the indeterminate zones of practice’. Our common sense (as opposed to the confusing rational-scientific metaphor which has invaded our thinking and framed our understanding) confirms this. We learn to parent (for example) from bringing up our children and drawing on the resources around us (partners, other young parents, our parents, the books we read, the conversations we have with professionals in the field, the courses we do, and through trial-and-error), drawing on all of these to inform our practice. This is how we learn. Schon reminds us that this is how all professionals learn. Effective learning is that which is informed, useful, and which opens up possibilities for effective action consistent with our goals and values. To learn to teach is to belong to, and draw upon, a community of thinkers-and-doers. The hyphens remind us that this is one set of people, not (as some would have it) a world divided into two groups, the thinkers and the doers. These thinkers-and-doers include our teachers, our parents, our former teachers, our fellow students and teaching colleagues, the authors of the books we read, the presenters of the courses we attend. To be in the grip of the scientific metaphor is to be made to feel uneasy about the fact that intuitively we know we learn from our colleagues and from our practice. If my student could more easily allow himself to be invaded by the ‘learning communities’ metaphor, he would know he could draw on his fellow students’ blogs if indeed they help him to understand, and to act effectively in, the complex ‘indeterminate zones of practice’. Harpaz, Y. (2005). “Teaching and Learning in a Community of Thinking.” Journal of Curriculum and Supervision 20(2): 136-157. This entry was posted in Teacher education and tagged Dickens, Donald Schon, higher education, research, scholarship, student resistance, theory by steveshann. Bookmark the permalink. Pingback: The Thinkers-and-Doers of the Science Metaphor | Synergistic Bonding in the Classroom! Wow, Steve, thanks for this – you’ve got me thinking, yet again! ELPC has shown me just how socially constructed and collaborative our idea of ‘knowledge’ now is, and I believe it has opened my eyes to a whole new kind of learning. Grappling with the Science Metaphor has also yielded some interesting ideas about placing people in boxes (a-la Assignment 1) and how that relates to our changing view of knowledge. Your blogs are always a fascinating read!